There is a whole genre of books on the Middle East written by journalists and full of unsubstantiated claims about military activities, intelligence work, and terrorism-subjects where confidentiality looms large. Mohamed Heikal, the Egyptian journalist, has written several books of this sort (The Sphinx and the Commissar, Iran: The Untold Story, Autumn of Fury), as have Jonathan Randal of The Washington Post (Going All the Way) and the Iranian Amir Taheri (The Spirit of Allah, Holy Terror, Nest of Spies). [The] A Team assembled momentarily outside the door to Abu Jihad's bedroom. Alerted by the muffled sounds coming from downstairs, he groggily raised his head from the pillow. But it was too late. In a split second the commandos were in the bedroom. Abu Jihad's wife was lying next to him. The darkness was punctuated by staccato bursts from the silenced sub-machine guns, which illuminated the room like the flashes of a strobe light, as the commandos riddled Abu Jihad's body, leaving his terrified wife unharmed. Another example concerns PLO finances. The authors hold that Lufthansa, the West German airline, paid protection money to keep PLO hijackers away from its planes between 1972 and 1977; that, for similar reasons, OPEC has paid $120 million since 1977 to Yasir Arafat's private fund; that the PLO has a majority share in the French station, Radio Monte Carlo; and that it owns an (unnamed) American motel chain. Livingstone and Halevy total up the organization's assets and come up with a sum of no less than $8 to $14 billion. Its annual revenues, they reckon, exceed the gross national product of some Third World countries. This wealth so impresses them, they conclude that "money is the source of Yasir Arafat's power." What is one to do with such information? There are virtually no references; journalists see a book as not much different from a newspaper page, and rarely provide the sort of footnotes that can be verified. It ends up being a matter of faith in the authors; either one believes in them or one does not. And this decision boils down to two matters: the authors' good name and their accuracy when reporting familiar information. If both of these are good, then the book stands a chance of being accurate; if not, it is best to ignore their claims. Applying these two criteria to Inside the PLO produces fairly startling results. The work of one of the co-authors, Neil Livingstone, has been subject to quite a bit of doubt. For example, in the current issue of Orbis, Steven Emerson writes that Livingstone's recent book, The Cult of Counterterrorism, contains "serious errors, errors which render the whole work suspect." The other co-author, David Halevy, was the Time reporter who provoked Ariel Sharon's libel case against Time in 1985. The verdict, as read by the jury's foreman was that Halevy "acted negligently and carelessly in both reporting and verifying . . . information." A close analysis of information in Inside the PLO shows that it too is replete with errors, small and big. The Institute for Palestine Studies (IPS) turns into the "Center for Palestinian Studies (CPS)." Contrarily, the Jaffee Center for Strategic Studies turns into the "Jaffe Institute for Strategic Studies." James Adams's The Financing of Terror is once cited correctly, once as The Funding of Terror. Mistakes on the grand scale also abound. One will have to suffice. On pages 189-90, when discussing the fanatics, led by Juhayman al-'Utaybi, who seized the Grand Mosque in Mecca in 1979, the authors ascribe to them the phrase Allah wa-Akbar wa-Khomeini Rasual Allah ("God is great and Khomeini is the Prophet of God"). This is a stunner. It is one of Islam's most basic tenet that Muhammad was the last prophet. No Muslim, and certainly not Khomeini himself, has ever substituted the ayatollah's name for Muhammad's as the Prophet of God. And even if some of Khomeini's crazier partisans were to make this change, every writer on the Mecca mosque seizure has concluded that the assailants were in no way connected to Khomeini. For example, David Lacey wrote in his 1981 book, The Kingdom: "In no way were Juhayman and his followers adherents of the Ayatollah." The phrase quoted by Livingstone and Halevy would require a total re-interpretation of the Mecca incident. But, who knows? Maybe these two authors-who announce proudly on the first page of their book that they have "relied heavily on information developed in cooperation with six intelligence services: three in the West and three in the Middle East"-know something the rest of us don't. Not so. Even a first-year student of Arabic can tell that the phrase they quote is false, and for two reasons. First, Livingstone and Halevy's rendering contains the most elementary spelling errors. When added to the many other mistakes in Arabic throughout the book, this suggests that the authors relied on dubious sources, perhaps even disinformation. Second, they have the Islamic formula all wrong. The basic assertion of faith-what a person says, for example, on converting to Islam-is "There is no divinity but God and Muhammad is his prophet." To substitute "God is great" in the first half of this statement is to betray a complete ignorance of Islam. All these mistakes lead this reader to conclude that Livingstone and Halevy's whole account of the Mecca mosque incident has to be thrown out. Better yet, discard the whole book. 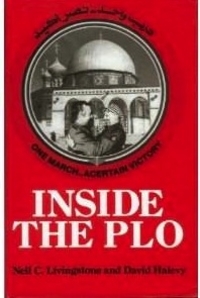 And if you want to learn about the world's most successful terrorist group, refer instead to Jillian Becker's The PLO or Yonah Alexander and Joshua Sinai's Terrorism: The PLO Connection. Nahum Lev, leader of the assassination squad to Tunisia. On April 15, 1988, a day prior to the operation, commando units and Shayetet forces (elite Navy units) were ferried to the Tunisian shore. Twenty-six members of the force were divided into groups. Lev was in the first group of eight, which was meant to break into Abu Jihad's house. The rest were to serve as reinforcements. 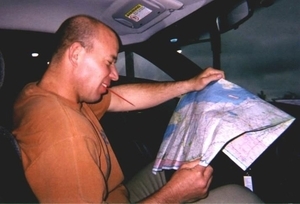 They stopped half a kilometer (0.3 miles) from his home. Lev and another soldier who dressed up as a woman pretended they were a vacationing couple. Lev carried what appeared to be a large box of chocolates in one hand, in which he concealed a gun with a silencer that he was holding in his other hand. They approached the house, where Lev shot and killed Abu Jihad's bodyguard, who had fallen asleep in his car. After the unit got word that the bodyguard was neutralized, the remaining officers secured the doorway of the house. Part of the unit headed toward the basement precisely at the moment a second bodyguard woke up. He refused to let go of his firearm, and was killed. The gardener, Lev recounted, had decided to sleep in the basement that night, and he too was killed. "I felt sorry for the gardener," Lev said. "But in that type of operation we have to make sure that any possible interference is neutralized." Another officer started firing toward the staircase of the house, near where Abu Jihad was located, and Lev followed him. "He shot at Abu Jihad first. It seemed like Abu Jihad was holding a pistol in his hand," Lev said. "After that, I shot him with a long burst of fire. I was careful not to hurt his wife, who had showed up there. He died. The extra forces came and verified his death." Comment: No grogginess here, just another reason to distrust the work of Livingstone and Halevy.